Mesotherapy is the thrilling new alternative to plastic surgery for dramatically reducing cellulite and reshaping those infamous problem areas. While the procedure has been practiced widely in Europe for years, Mesotherapy is now available in the United States from a few highly trained and specialized plastic surgeons and trained Mesotherapists. It is widely considered safe, pain-free, and affordable. What types of problems can be treated with Mesotherapy? What is injected during Mesotherapy treatments? Mesotherapy is a painless injection of medications, vitamins, and minerals obtained from nationally recognized pharmaceutical companies in the United States. Depending on the desired result, the area being treated, and the problem being addressed, different ingredients are combined to create the various “cocktails” injected during treatments. For example, the formula used to melt fat deposits on the hips is different from that used to melt the fat deposits under the eyes. Still a different formula is used to treat the fat under the chin. Cellulite and facial rejuvenation treatments require a different combination of ingredients to achieve their desired results, as well. How does Mesotherapy work to aid in weight loss and body sculpting? The medications that are combined to make up the Mesotherapy cocktails work to melt the fat located just beneath the skin. The medications cause the membrane of the fat cell to break down and what remains is carried through the bloodstream and flushed out of the body through the kidneys and bowel. How does Mesotherapy work to reduce Cellulite? Cellulite affects the majority of post-pubescent women, so you are not alone! Being overweight does not cause the formation of cellulite, as many believe. Connective tissue present in the skin sometimes harden, holding down the skin and trapping the fat. This causes the dimpling appearance that characterizes the cellulite that appears on the hips, buttocks, and legs. The medications used in Mesotherapy injections release the connective tissue bands and melt the trapped fat, resulting in a smoother appearance, free of unattractive dimples. Who is an appropriate candidate for Mesotherapy treatments? 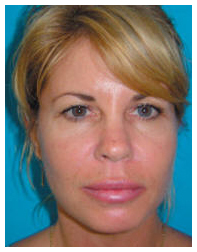 Ideal candidates for Mesotherapy are healthy adults from 18 to 75 years of age. Who should not consider Mesotherapy? Your medical history will be fully discussed during your pretreatment consultation. Please make sure Dr. Ahmed is made aware of ANY medications you are taking. 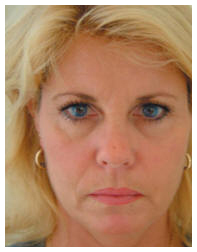 The actual injections usually take no more than 15-20 minutes, depending on the size of the area being treated. However, Dr. Ahmed does not like to rush the process, preferring to make sure all questions have been answered, the treatment area is properly marked, and the patient is comfortable and relaxed. After the initial consultation, most patients can expect to spend approximately one hour from start to finish. Many Mesotherapists use low-strength or homeopathic doses of medications in their injections, given 1 week apart over a period of 10-15 weeks. Dr. Ahmed believes that higher concentrations of medications bring about faster results at a much lower cost. He prefers to “super-size” the strength of the formula and space treatments 3-4 weeks apart. Dr. Ahmed finds that by using this method, only 3-4 treatments are required instead of 10-15. This results in a substantial savings, not only financially, but in time and discomfort, as well. What is considered an “area” for treatment purposes? What types of side effects can be expected after a treatment? A rare side effect of Mesotherapy is the formation of nodules. A small, pea-like hardening may appear under the skin. Usually only noticeable by touch, these formations are not serious and will dissolve by themselves, disappearing after a few weeks, or at most, months.